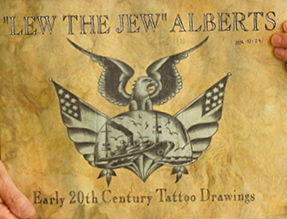 “Lew The Jew” influenced Charlie Wagner, Ed Smith, Samuel F O’Reilly and scores of other Bowery tattoo artists at the turn of the century. He was very proud of his Jewish heritage as a positive selling tool and a way to distinguish himself. This piece was found on the back of another old tattoo drawing in a ruined frame. 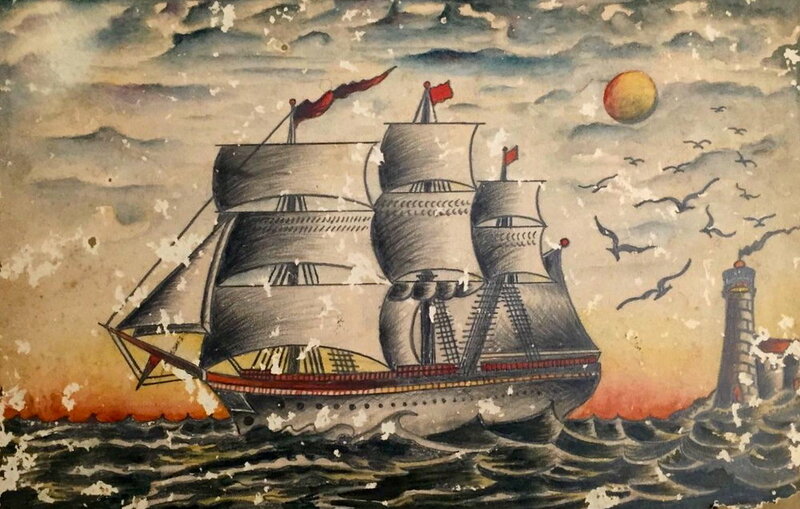 This chest or back piece is the only finished color drawing discovered to date, by this seminal New York tattoo artist. This entry was posted in Uncategorized and tagged America, Bowery, Britian, Tattoo Artists. Bookmark the permalink.